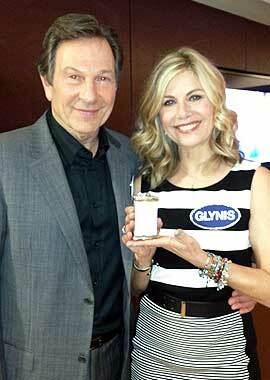 Last Saturday saw my husband, Michael Brandon, and myself at ITV studios filming All Star Mr & Mrs! We weren’t entirely sure if this was a good idea to be honest. We had a feeling it would end in one extreme or the other. Complete humiliation that after many years of marriage we would have to admit to the nation we didn’t know each other at all or…..we would end up reading each others minds like a pair of Derren Browns! Mmmmm, I bet you’re wondering how that panned out? Well we are sworn to secrecy so you will have to wait until the series starts airing in May! Every contestant is guaranteed at least £5,000 for their charity of choice. Our charity was The Autism Trust which works toward giving a meaningful future to kids with autism. It helps train and gives employment to young adults. We are proud to be patrons of the Trust and consider it to be a hugely important charity as the numbers of children with autism has now risen to nearly 1 in every 50! Very soon there are going to be a lot of young adults out there with autism and it’s very important that they are understood and have a future. Tune in to see how much we won for them! Aah! Mr and Mrs B! We stood for hours in the pouring rain and loved every second of it! It was worth it just to hear you say Willy Woolworth! We were very proud when you won! What a great couple, your interactions with each other were so entertaining as were the tales told. I was shocked by how much the general public lost with the edits for all the adverts!